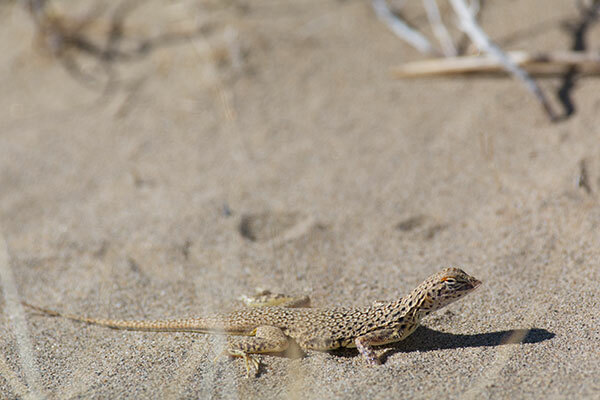 This is the third and final California species of fringe-toed lizard, all of which I managed to photograph in a few days with the help of The Lizard-Watching Guide. 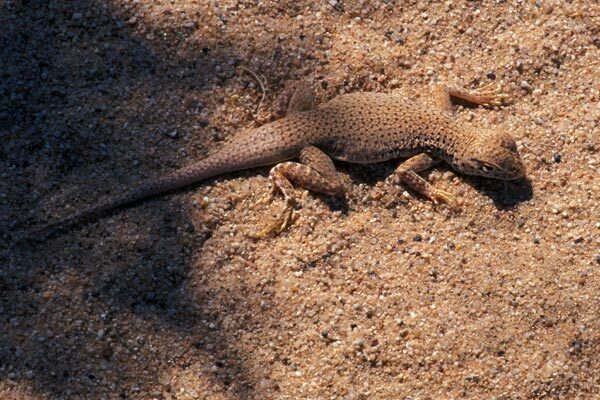 No lizard-watcher visiting southern California deserts should be without it. This young one raced away from me three or four times before finally hunkering down in the partial shade of a creosote bush. Here's a mid-sized adult giving me the stink eye because I wanted to take a photo of it unobscured by dry grass. No such luck though.